Water Rates Increase in Buffalo, N.Y. The Great Lakes are one of the world's largest sources of fresh water. But an investigation from American Public Media and Great Lakes Today finds the cost of that water has doubled or tripled. The Great Lakes are one of the largest sources of fresh water in the world. They run more than 750 miles across eight states from Minnesota to New York. With so much fresh water, you would think that drinking water would be affordable there, but a new investigation from Great Lakes Today and American Public Media shows that for many Americans, there's a water crisis. They can't afford water, a basic need. Reporter Elizabeth Miller explains. ELIZABETH MILLER, BYLINE: I'm walking around a park in downtown Cleveland where the city hits Lake Erie. From here, I look out across the lake, and all I see for miles is water - miles and miles of fresh water. And if I look out a little farther into the lake, I see an orange dot. It's the pump building that brings in the raw water. From Lake Erie, the water travels through miles of pipes and pumps into the city's treatment plants, and it provides the drinking water that goes to every home and business in Cleveland. DAVE CATLIN: They want every dollar of that, and it's just crazy. MILLER: But just a short drive from this lake, I met Melissa Thevenin and Dave Catlin at their home. They can't afford to pay their water bill, and they're not alone. American Public Media and Great Lakes Today analyzed the rising cost of water in six cities around the Great Lakes - Cleveland, Buffalo, Detroit, Chicago, Milwaukee, and Duluth. In these cities, we found in the last 10 years water rates have doubled, even tripled. We found those steady increases can have devastating consequences for people struggling to get by like Thevenin and Catlin. Their water's been cut off. MELISSA THEVENIN: They want the whole amount. THEVENIN: Twenty-five-hundred dollars before they will turn it back on. MILLER: Thevenin and Catlin live in a small, two-story house in the working-class Slavic Village neighborhood. When I visited them in September, the couple said most of their $2,500 water and sewer bill comes from the unpaid balance of family members and tenants who lived here before them. And right now, times are rough. Melissa's hours at work have been cut back, and Dave is a roofer. CATLIN: And we have no assistance. MILLER: Our investigation found hundreds of thousands of shutoffs to homes and businesses around the Great Lakes, including over 40,000 in Cleveland alone between 2010 and 2017. Without water, the things people take for granted like flushing the toilet, cleaning or cooking become near impossible. THEVENIN: We actually, when they didn't have no water over, you know, the past year, you know, let them use ours, too, and all that. So, you know, that didn't help. That was just more people, you know, on it. MILLER: ...Even if lending others water meant their own bill went up. For some, getting water cut off is the first step in a downward spiral. Sometimes people lose their homes to foreclosure. Some are even threatened by Child Protective Service workers with losing their children. And it's expensive to have water turned off. In Detroit, the city charges $40 to disconnect your water and then $40 to turn it back on. We obtained 10 years of water shutoff data, and our analysis shows the highest concentrations of shutoffs in mostly poor black and Latino neighborhoods. In Detroit, there are several local groups that bring free water to residents that have been shut off, including We the People of Detroit. Founding member Cecily McClellan delivers water every other week to residents that have called the People's water hotline. They call for a delivery but also for advice. They need help to navigate the complicated bureaucracy of Detroit's water system which can be overwhelming. CECILY MCCLELLAN: And I think we talked to you about that, didn't we? MILLER: On this day, she's delivered water to Reginald Newberry. She stacks five cases of bottled water on his porch. REGINALD NEWBERRY: I didn't know about that. MILLER: Newberry lives on the east side of Detroit in his childhood home. He's 62 with chronic obstructive pulmonary disease, COPD. Newberry uses the water for everything from drinking to washing up. NEWBERRY: Well, I wash up with the water. Then I get big containers of water from my neighbors. MILLER: Detroit Water says Newberry hasn't paid his water bill since 2016, and they turned off the water at his request last February because he was worried about a leak. Still, even with no water, his bill keeps going up. NEWBERRY: And then they was charging me for sewage and all that, and the water wasn't even on. MILLER: On a recent bill, there's an 850 charge for sewer fees. Every household gets charged for sewage. And on another line - $22.50 in charges, a water assistance donation. That's to raise money for a fund meant to help customers pay their water bills. Newberry's total has built up over years of unpaid bills. Still, it's a fund that should be helping him. Instead, he's being charged for it. Our investigation found the cost of water has been rising across the Great Lakes. In Cleveland, water and sewer rates have more than doubled in the last eight years. Now they average about $1,300 per year for a family of four. Detroit Water and sewer rates have almost doubled. In Chicago, they've nearly tripled. One reason the water rates are going up - there are fewer people to pay for it. These cities have lost population. But the biggest reason is the country's aging water infrastructure. Built years ago, the pipes and systems that carry water from the Great Lakes to the tap are old and expensive to repair. ALEX MARGEVICIUS: We are at the Garrett Morgan Water Treatment Plant. MILLER: On a recent tour, Cleveland Water Commissioner Alex Margevicius explains we're walking over the city's oldest water infrastructure. There are two underground tunnels that carry water from the lake to the plant. One is 7 feet wide, the other 5 feet wide. MARGEVICIUS: Well, 7-foot would have been, I think, from 1960. And the 5-foot a little bit further down is, like, from 1870 - so still in service today. MILLER: Repairing old infrastructure is expensive. Margevicius says Cleveland is spending $25 million a year on replacing old systems, and customers are paying the bill. RADHIKA FOX: When many of our water systems were built, you know, 50, 60, 70 years ago, many of them were constructed with federal support. MILLER: That's Radhika Fox, the CEO of US Water Alliance, a national group with members from utilities, local government and grassroots environmental organizations. She says the federal money that long ago built those systems is not there anymore, so local utilities now pay 98 percent of the cost of a typical water project. In Cleveland, almost half of what customers pay for water goes to these infrastructure improvements. From Congress and the White House, there's a lot of talk about paying for crumbling infrastructure. PRESIDENT DONALD TRUMP: This important bill authorizes water infrastructure projects that benefit almost every state in the country. MILLER: Late last year, President Donald Trump signed America's Water Infrastructure Act of 2018. It puts money into a system that provides loans and grants for cities to upgrade their water systems but only $250 million for replacing and repairing old pipes. Radhika Fox says it's not even close to what needs to be done. FOX: The federal government, frankly, has been just an absent partner when it comes to funding. And I think it's time for a renewal of the local federal partnership on these issues 'cause that was really what made for the success of building these water systems in the first place. MILLER: A report by the American Water Works Association, a nonprofit with members representing utilities and environmental groups, estimates restoring water systems nationwide will cost at least $1 trillion over the next 25 years. And without significant help from the federal government, older cities have no choice but to keep charging people more and more for water. 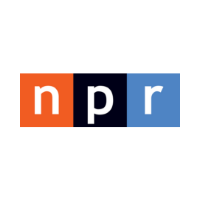 For NPR News, I'm Elizabeth Miller in Cleveland. This story originally ran on NPR.